It was the last day of our Gunung Kidul trip when we had the chance to visit Cokro cave, still located around Blimbing villange. Like Jomblang that we visited on the first day, Cokro is also a vertical cave. Visitor needs to use kern mantle ropes hanging on the roof of the cave to enter it. This was a great experience for me. 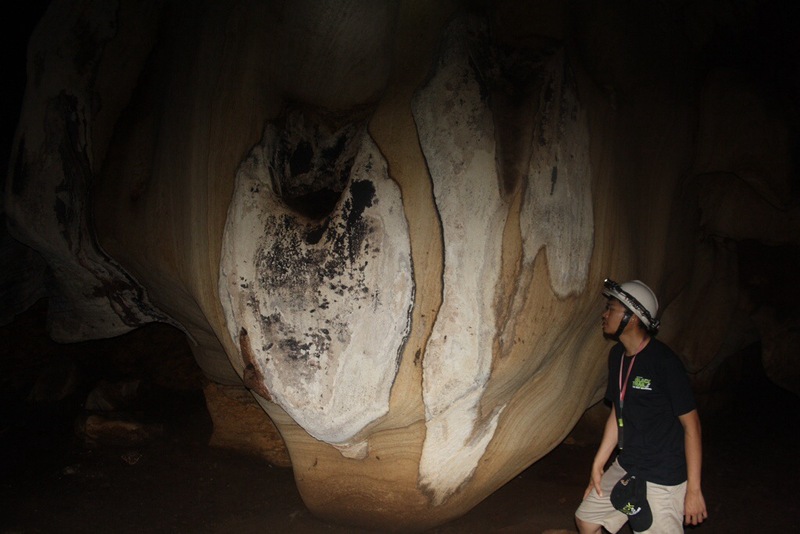 Cokro has many beautiful cave ornaments, we could see how the limestone material impacting stalactites and stalagmites here. 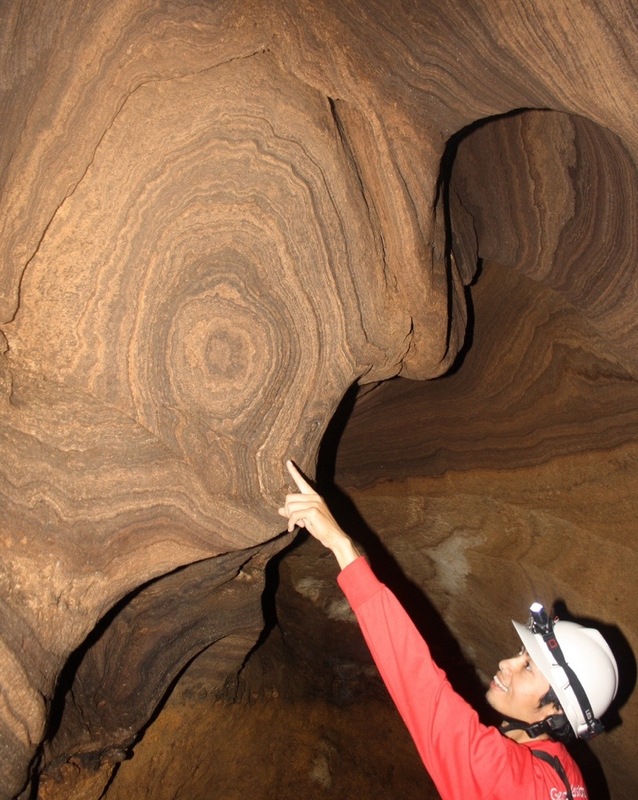 Sometimes, earthquake also left impact to the cave wall and turns it into beautiful ornament, like the one you see in the above picture. Unlike Jomblang, Cokro has no river inside the cave, so it’s quite easy for me to bring my camera. I also took picture of several huge stones or amazing shape of walls inside the cave. The one you see in the above picture was taken in the furthest part of the cave that we could visit. We couldn’t go further as the oxygen down there was very limited. If we are lucky, sometimes Cokro also has beautiful ray of light. 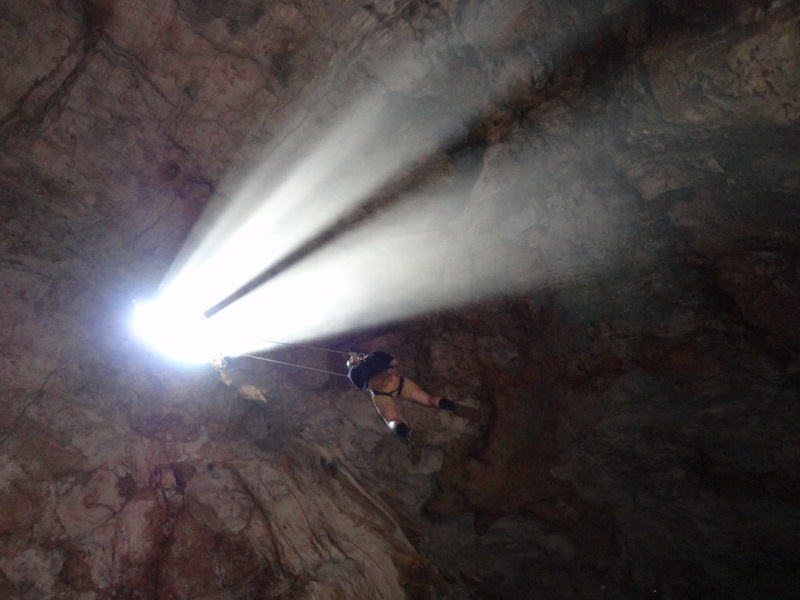 Below is my picture hanging on the rope with sunlight trying to come into the cave. If you are interested to visit Blimbing Village, here is the contact person: Sular – +6287838111466. They would be happy to help you with all-in package include your food and accommodation.